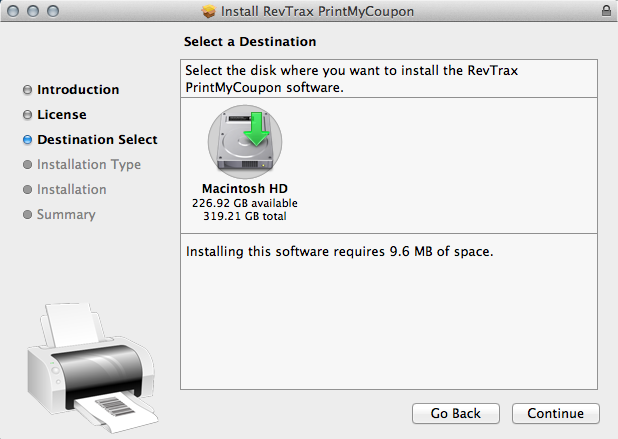 How do I select a default printer to print RevTrax coupons? 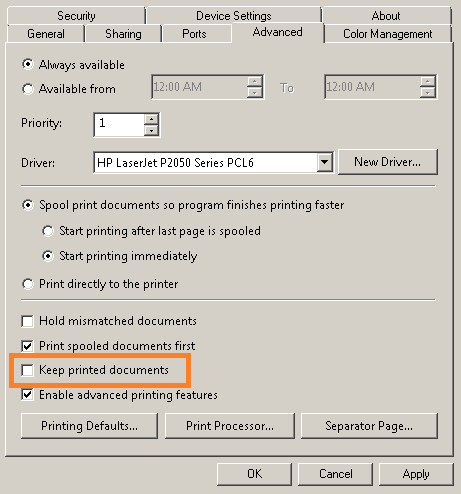 What does a "System Code 1004: Print Limit" message mean? Can I see the full coupon before I print? 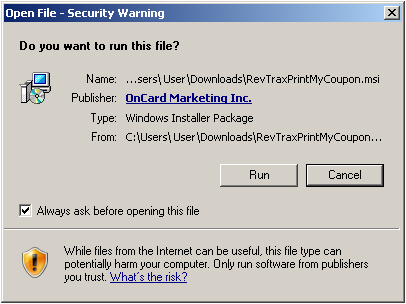 Why is my antivirus software warning me when I try to download the RevTrax® PrintMyCoupon app? 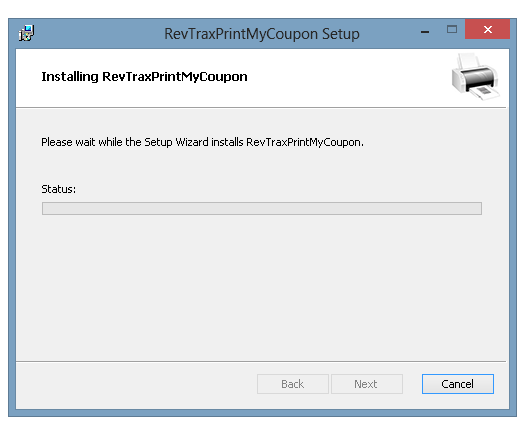 How do I uninstall the RevTrax PrintMyCoupon app? Can I print coupons in black and white in Windows? Why can't I print my coupons at work or the public library? How do I install PrintMyCoupon on my Mac? How do I install PrintMyCoupon on my PC? Find the yellow folder on your desktop. Navigate to Control Panel (if you don't see Open Control Panel, hold down the CTRL key and hit the F1 key). 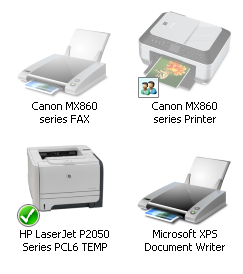 To set your default printer, right click on the printer you want and choose Set as Default Printer. 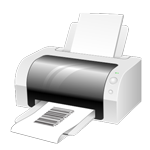 Please note that you cannot print coupons using PrintMyCoupon to a PDF printer or a fax. After this, right click on your default printer and select Printer Properties. 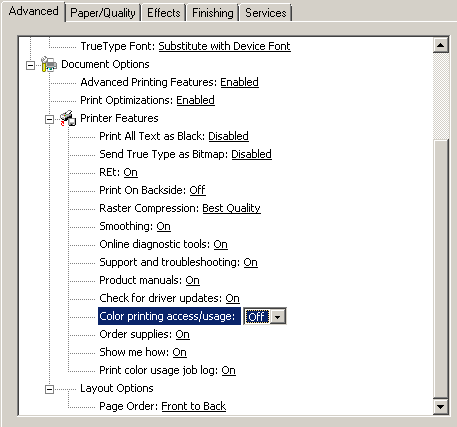 On the Advanced Tab, check that Keep printed documents is NOT selected. 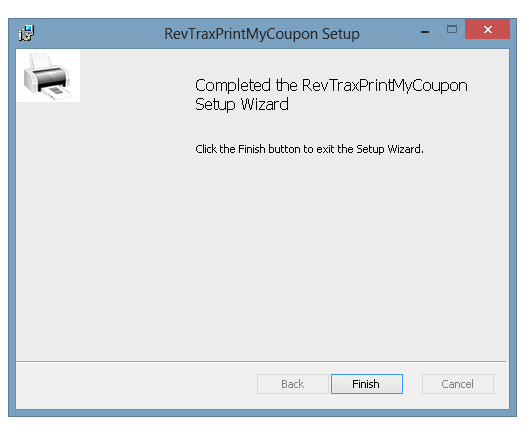 Now you're all set to print RevTrax coupons! 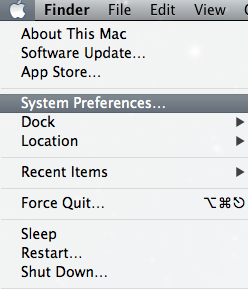 Click the Apple icon on your toolbar and click on System Preferences. 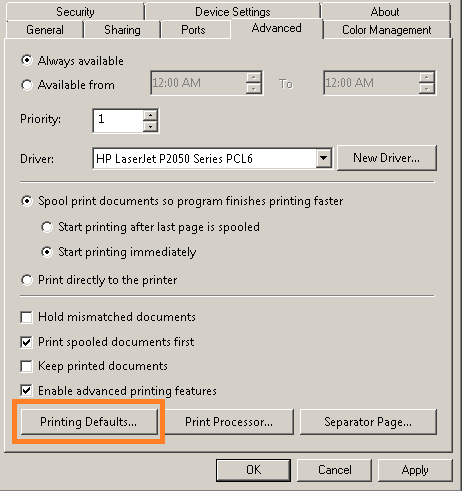 Right click on the printer you want to use and click Set Default Printer. Please note that the printer cannot be a fax machine or pdf (digital) printer; you must be printing on physical paper in order to be compatible with PrintMyCoupon. 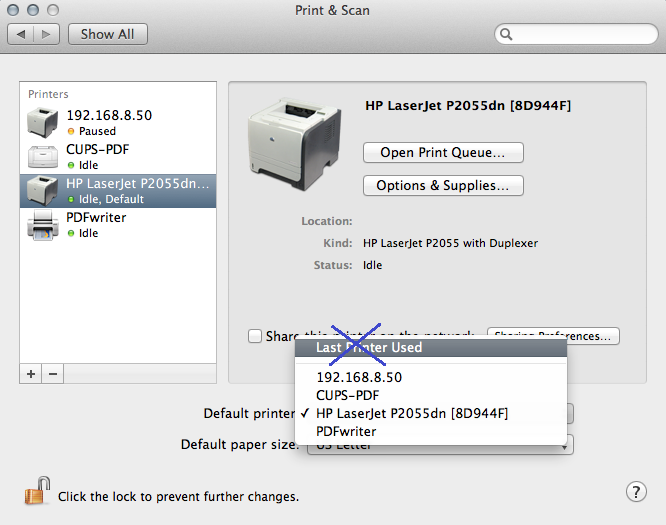 Additionally, check to confirm that the default printer is not set to Last Printer Used. Each consumer is allowed to print only a specific number of individual coupons. The Retailer or Manufacturer chooses the number of prints allowed (usually one or two) in order to distribute offers to everyone that is eligible to get the offer. If you see this message, it is because you have already printed the number of coupons that the Manufacturer or Retailer allows. If your coupon still has not printed, check to see if your printer is properly connected, and has sufficient ink and paper. If you need to fix one of these things, the coupon will typically be waiting in the print queue and will be sent to the printer after you have made the necessary adjustments to your printer. If you still cannot print, you can contact your coupon provider for assistance. 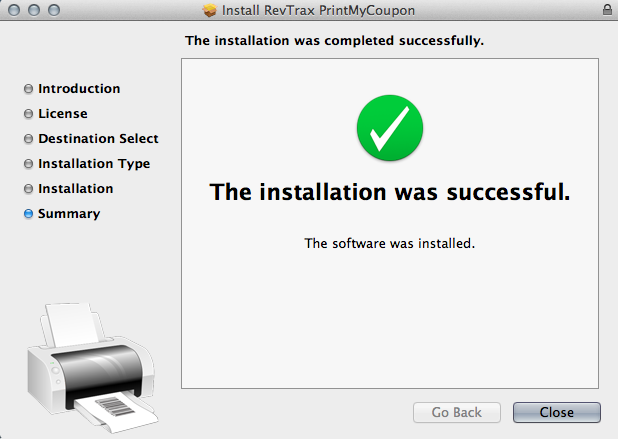 RevTrax coupons are automatically sent directly to the printing queue. What you will generally see on your screen is a preview of the coupon with the details of the offer. 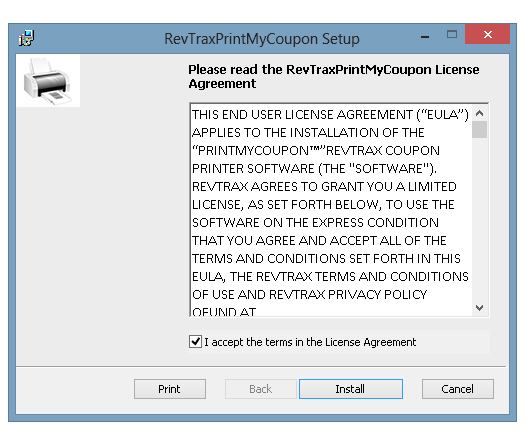 Why is my antivirus software warning me when I try to download the RevTrax PrintMyCoupon app? Depending on your settings, your antivirus software may try to block the installation of the app. The PrintMyCoupon app is a safe, virus-free software that allows for the seamless printing of coupons. If the install is blocked, you can temporarily disable your antivirus software during installation, and re-activate it when finished. 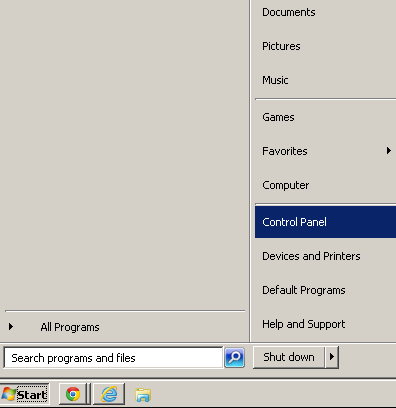 Locate the Start menu button and click on Control Panel. Click on Programs and Features and find RevTrax PrintMyCoupon. Click on this and select Uninstall. 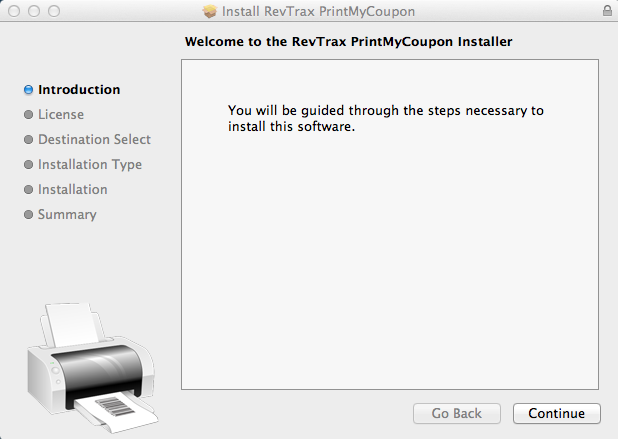 This will start the RevTrax PrintMyCoupon uninstaller. Close out of all browsers prior to uninstalling the RevTrax PrintMyCoupon app. Click on the Finder icon in your toolbar. 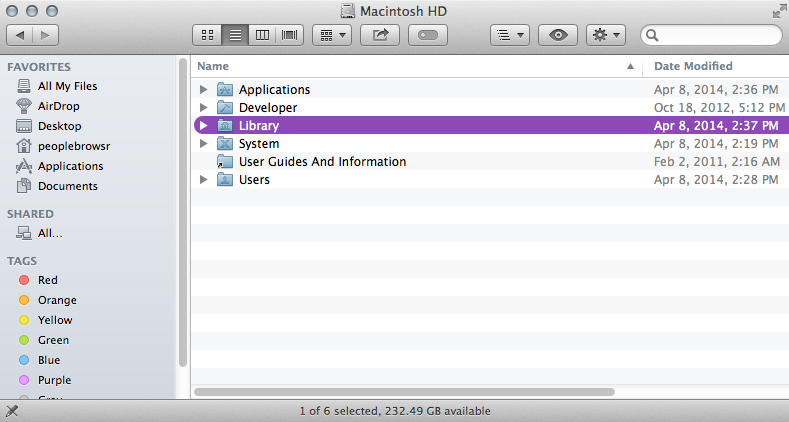 Click on Macintosh HD and locate the Library folder. In Library, find the Internet Plug-Ins folder. 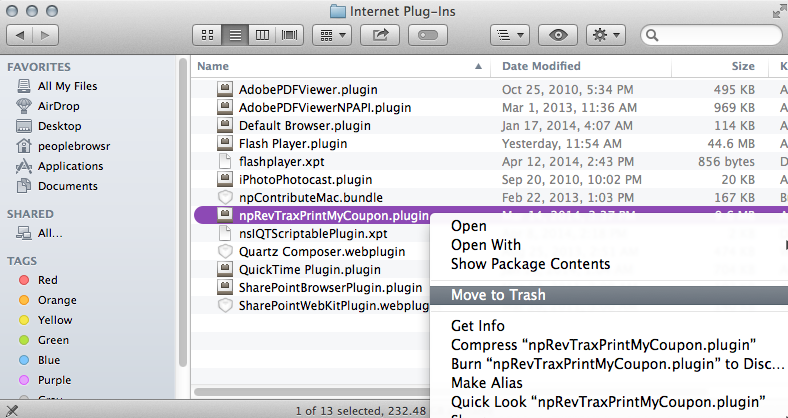 Right click on npRevTraxPrintMyCoupon.plugin and select Move to Trash. To save on colored ink, you can print RevTrax coupons in black and white. To do this, you must change your printer settings. 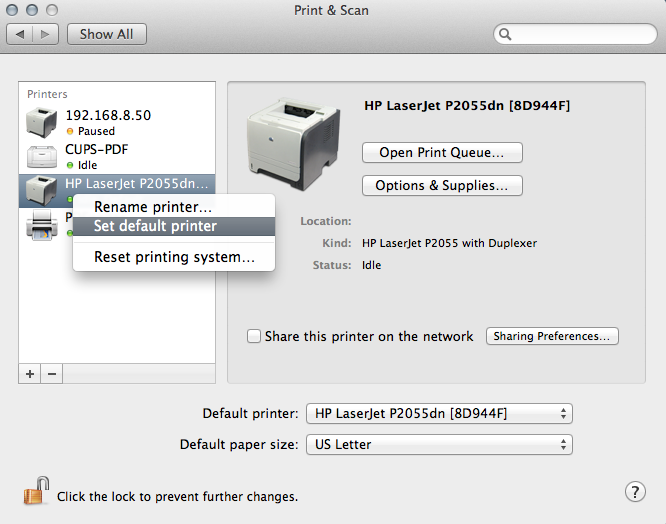 See link to ‘set up default printer’. Navigate to Control Panel. (If you don't see Open Control Panel, hold down the CTRL key and hit the F1 key. 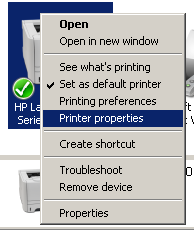 Right click on the default printer and click on Printer Properties or Properties in the dropdown menu. Navigate to the Advanced tab, and select Printing Defaults. Find the Advanced tab, select the dropdown next to Color printing access/usage and change this to OFF. Public locations such as cafes, libraries or workplaces often have restrictions that prevent downloading external software. 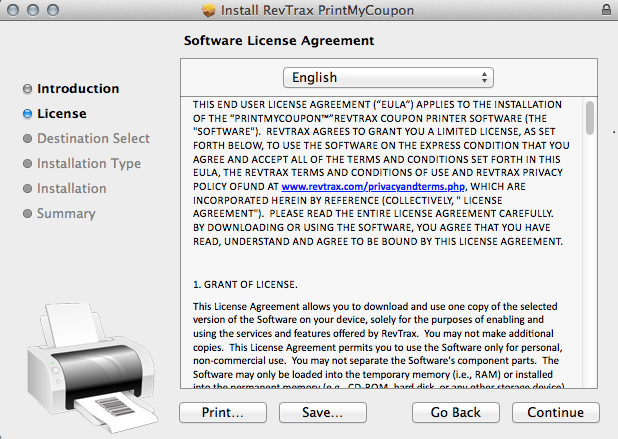 In these instances, you will not be able to download RevTrax PrintMyCoupon and print your offers. Your best option is to print coupons from a home computer or contact the network administrator at your location and request permission to download software. You will find the PRINTMYCOUPON.DMG in your downloads folder. 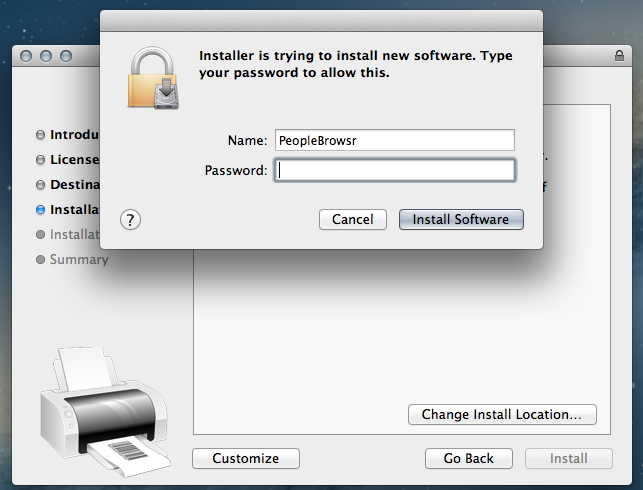 Click on the pmcainstall.pkg icon to begin the installation process. Hit Continue on the first screen of the installer. This will take you to the Software License Agreement. Select Continue. You will be asked to confirm your agreement with the terms of the Software License Agreement, select Agree. You will be asked to enter the username and password for your machine. Enter this information and select Install Software. 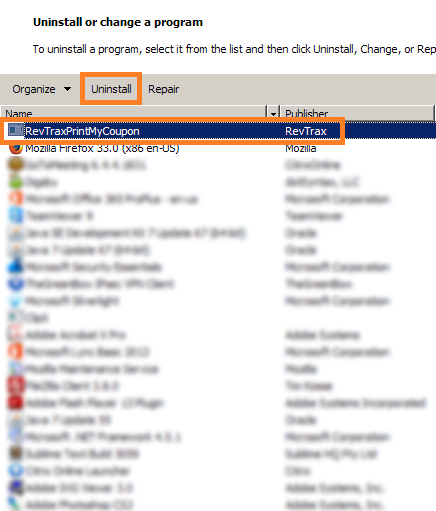 Once you download, the RevTrax PrintMyCoupon file will appear in the bottom of your browser. Click on this. Clicking on the PrintMyCouponInstaller.msi icon will pop open a prompt to run the installer. Select Run. This will start the installation process. The first screen of the installation is the license agreement. You must check the box to accept the terms and then select Install. When the download is complete, you will see a success page. You can then select Finish. 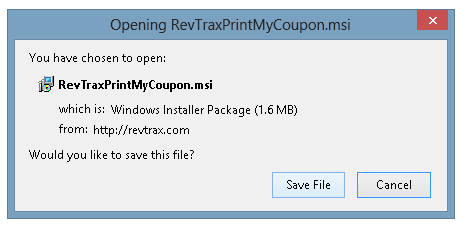 After you download, the RevTrax PrintMyCoupon file will appear in the bottom of your browser. Click on this. When the installation is complete, you will see a success page. You can then select Finish. 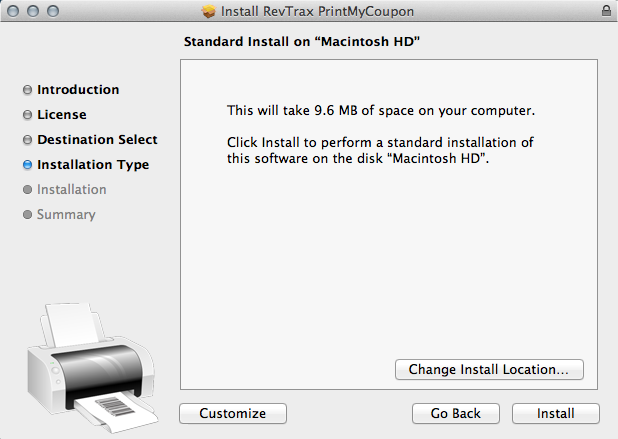 Upon download, the RevTrax® PrintMyCoupon™ file will pop up a prompt. Click on Save. This will save the file to your downloads folder, which you can access via by clicking on the downward arrow on at the top of your browser. Click on RevTrax PrintMyCoupon here. This will initiate start the installation process. The first screen of the installation is the license agreement. You must check the box to accept the terms and then select Install.